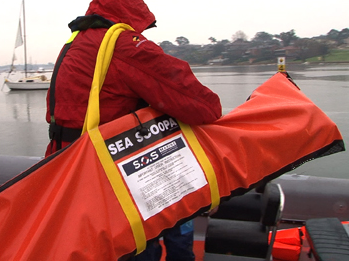 Sea Scoopa is purpose–engineered for man overboard recovery from recreational or marine rescue powercraft. 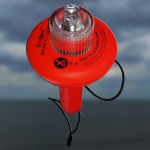 Please see the Additional Information tab below for dimensions of stock Sea Scoopa models. 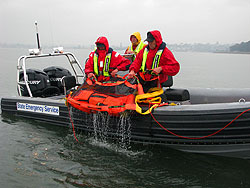 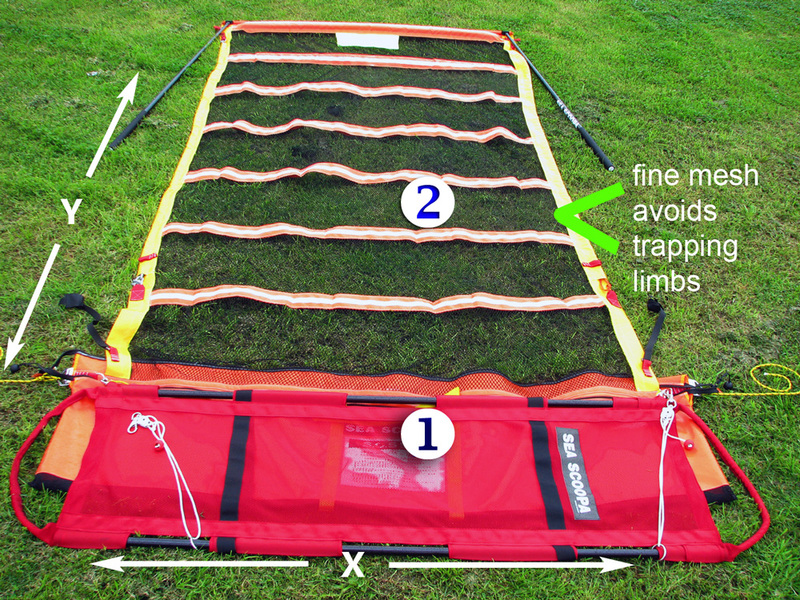 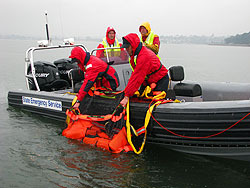 In the product photo, width = x , length = y ; Sea Scoopa is part #2, integral stretcher is part #1. 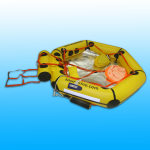 If stock sizes do not accommodate your vessel’s freeboard, please contact us for consultation on a Sea Scoopa suited to your needs. 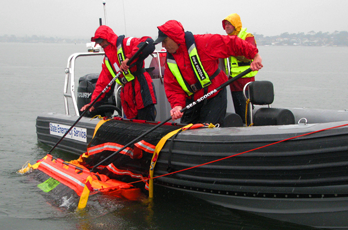 The Sea Scoopa for powerboats makes quick, easy, safe work of man overboard recovery. 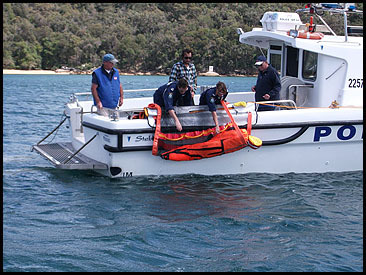 This powerboat model makes recovery easier by using a parbuckle which delivers 2:1 mechanical advantage. 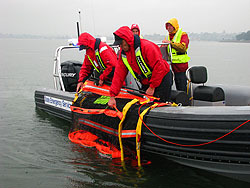 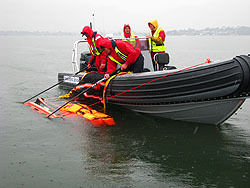 The Sea Scoopa for powerboats enables crew to easily lift a potentially unconscious person from the water. 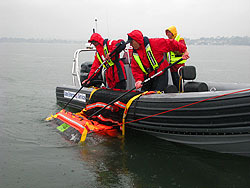 After lifting the man overboard out of the water, he can be rolled directly onto the device’s integral stretcher inside the rescue vessel. 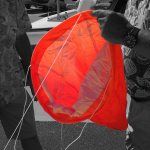 A carry bag for the device is included. 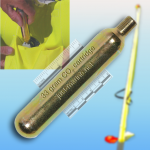 This is an award–winning product from SOS Marine. 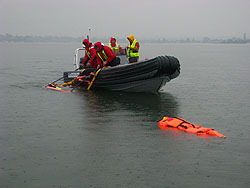 Horizontal recovery from the water of a man overboard has the highest survival rate. 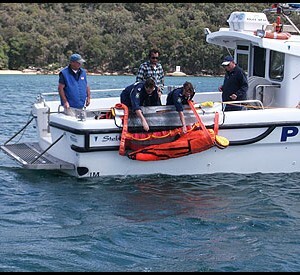 Learn more about this man overboard recovery innovation from the complete description, videos, photos, documents and more. 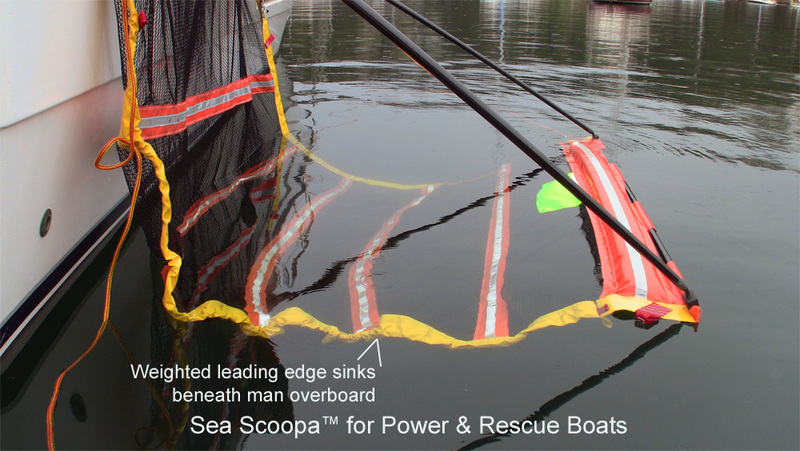 Sea Scoopa for sailboats is a different device which uses similar principles of design but takes advantage of sailboat mast and winch to get a man overboard back on board. 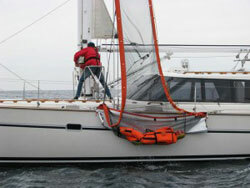 Learn about Sea Scoopa for sailboats here.